Color: Every possible pattern you could want, Blue Ghost, Clown, Firetiger, Gold, Green Tiger UV, Pink Tiger UV, Redfire Crawdad, Silver, Silver Blue, Yellow Perch, Helsinki Ghost, Hot Tiger, Olive Ghost, Pink Clown, Purpledescent, Purple Clown, Glass Blue Minnow, Glass Clown, Glass Minnow, Glass Perch, Glass Pink Clown, Glass Purple Perch and Glass Purple Sunfire. 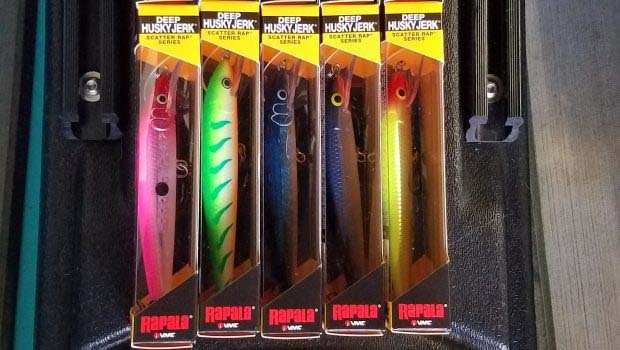 Basically Rapala added a scatter rap lip to the Husky Jerk lure which will give it more erratic action. It is supposed to have a built-in triggering mechanism that adds a revolutionary evasive action perfect for casting or trolling. The lip should make this lure unpredictable in it’s swim pattern and let it change direction quickly and randomly. Also the retrieve speed can be fast or slow. 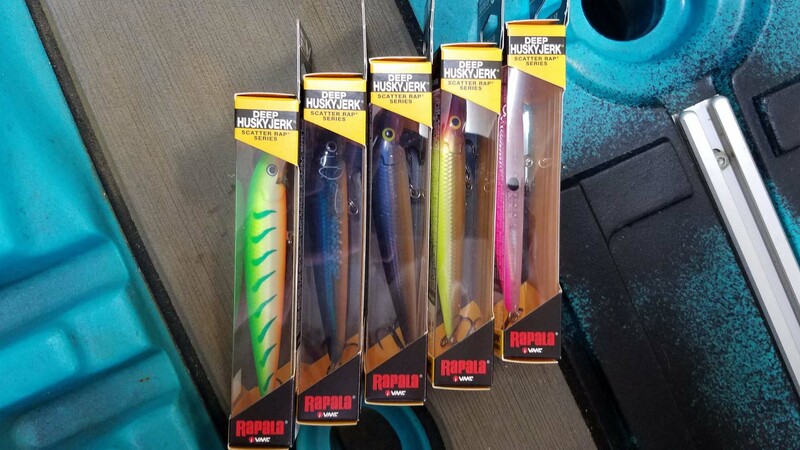 I would say the best use for this lure is as a search lure in the summertime to cover large areas of water without sacrificing action when running it quickly. As always Rapala lures have a quality paint job and I am liking that they have started bringing the price of their lures down a bit. I’m personally very excited to use the blue ghost color to catch a few spotted bass!